The Chinese telecom giant's $1-million investment package proposed to train Vietnam's ICT industry in the 2017-2019 period. The Chinese telecoms giant, Huawei, will invest $1 million into Vietnam’s information-communication-telecommunication (ICT) industry in the 2017-2019 period, a Huawei top leader has said. 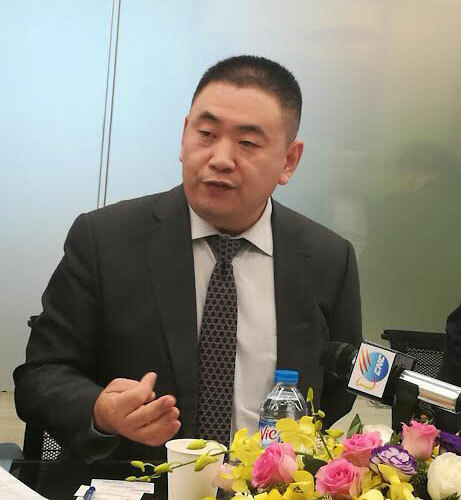 This package includes three major programs of creative application, ICT human resource training and public utility, Mr. David Sun, President and CEO of the Huawei, Southeast Asia Region said. "With the investment, Huawei commits itself to long-term development and the training of more ICT talent in order to boost Vietnam’s ICT industry," Mr. Sun said at the press release meeting in Hanoi on December 7. The company will cooperate with the Ministry of Information and Communications (MIC) to launch the programs and plans to expand its collaboration with universities in the near future. When asked about Huawei’s plan to launch its factory in Vietnam like Samsung, Mr. Sun said that as a global company, Huawei needs to integrate the capacity of each country and assemble qualified human resources to be successful in all the industries, including in Vietnam. Huawei Vietnam has now 272 employees with the ratio of local staff of up to 82 per cent well over the average local employment around the globe of 75 per cent. The company expects to create opportunities for promotion and include benefits as well as other opportunities for Vietnamese employees. Huawei is a global ICT solutions provider and partners with 170 nations and regions, serving one-third of the population around the world. The provider invests more than 10 per cent of its total turnover into research and development (R&D), and 45 per cent of the total employees work for R&D. Huawei opened in Vietnam in 1998 but it was not until 2008 that it officially established Huawei Technologies (Vietnam) Co., Ltd with its head office in Hanoi, a representative office in Ho Chi Minh City and a technology centre in Da Nang.